Double Rail Apparel Racks are perfect for a wide variety of clothing! 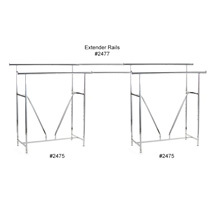 The Double Rail Rack has an extra V brace to keep the retail clothing rack sturdy and height adjustable hang rail that can adjust from 48 in to 72 in. high. Adjustable levelers included. 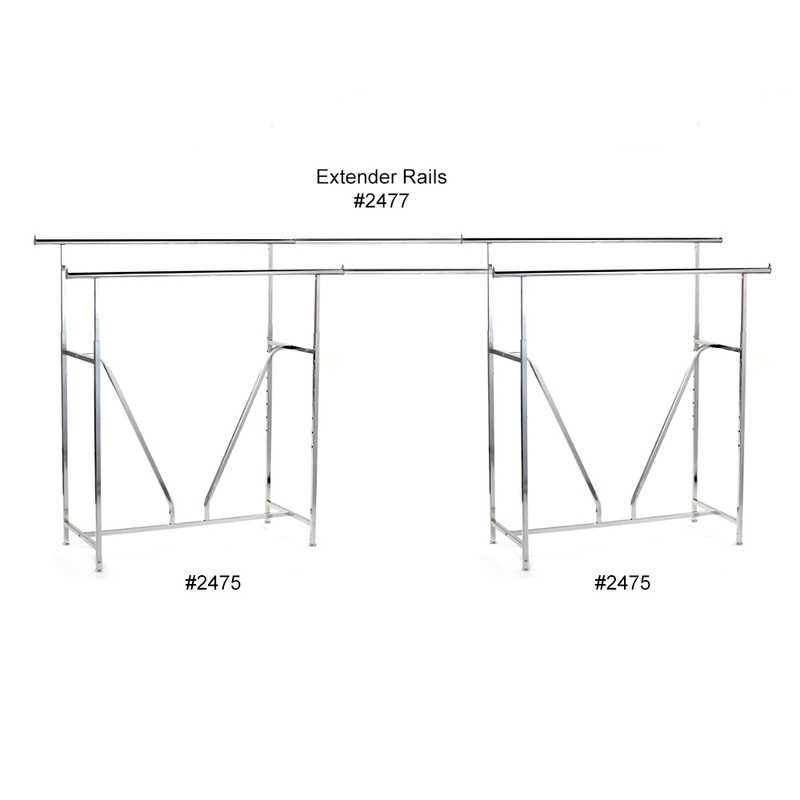 This item includes 2-Double Rail Garment Racks and a set of Extender Rails which joins two racks together. For further offerings, we invite you to take the occasion to review our extensive array of retail clothing racks for sale at Specialty Store Services today.